Congrats Symone Titania for being the 2018-19 Urban Art Scholarship recipient! Her display of community activism and b/w urban photography shows a powerful sense of being within the community and eloquently portrays the urban environment which surrounds her as an artist and student. I've gotten some emails regarding the 2018 entries, which open August 1st! Thanks for being patient, the scholarship will follow the same format and guidelines! 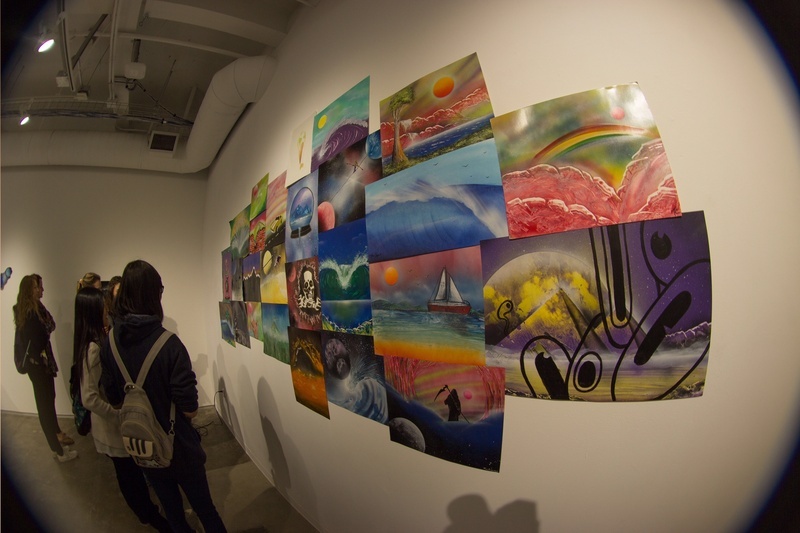 Thank you to over 40 applicants for this years Urban Art Scholarship! Winner will be announced January 31st, stay tuned! Congratulations Douglas Kleinsmith! Your aspirations and work is an inspiration to others! Also! A runner up was chosen, although not in the initial plan! Jessica Cothron received a $50 Amazon gift card for books, and is a single mother who wishes to persue a career in assisting children with disabilities into theater and drama. I am pleased to announce that the Urban Art Scholarship has received over 60 applications! I am pleased to announce that over 30 applicants have applied for the Urban Art Scholarship! It is very exciting to see the ambitions of artists around the globe, and how they strive to improve not only their lives but those surrounding them. I want to stress again, that this scholarship is aimed towards students who currently are improving their community through art, or who currently present detailed outlines of their positive intentions. As an example, I made this painting below after a tragic suicide of one of my old friends. We drifted apart after years of skating and shennanigans together, when I recently heard about him taking his own life. This piece is very dear to me, yet does not impact my community directly. If this piece was auctioned off as a fundraiser for his family, then would have significant value towards communal improvement. At times it is quite difficult to endure personal hardships, and we must keep our heads high and remain positive. However, we must also always know that someone out there hasn't been given the same opportunities as we fortunately have. This scholarship is aimed to assist those willing to donate time in their lives to assist others. I hope this defines the lines between personal art and artwork aimed to assist the community, as it is often a line not defined. Both and any type of work is open to consideration, but powerful work impacts our communities for the better. I am excited to see all the new applications! Artists have applied everywhere from Maine to Texas to Arizona, which is exciting to see personally how far the scholarship is reaching nationwide (and even one applicant overseas) and how many artists and variety of media are practiced throughout. I just wanted to stress the format of the application. It is a rather simple essay, portfolio, contract application. Please follow all guidelines accordingly. Those without scholarship contract agreement and with unprofessional images of their work will not be considered. Looking forward to more applications! As I continue to receive and review new incoming applications, I have to say that I am more and more impressed with each submission! Thanks again for your application for the Trevor Coopersmith Urban Art Scholarship. Applications are still under review and the winner will be announced January 31st 2017. In the mean time, I received an incredible opportunity to exhibit my work at the Glass Box Gallery at the University of California, Santa Barbara from October 10-16 of this year. The curator for the show acknowledged my scholarship foundation and is encouraging me to reach out to applicants in hopes of displaying their work in the show. I hope to display some student work soon and they will receive credit towards the exhibition and will be able to place the exhibition on their resume. Hope to keep receiving more applications in the near future! Starting to receive some entries! As of now, two entries have been received. One entry from a photography student and another from a fashion merchandising major! Remember to include a portfolio if possible, it really improves application aesthetics and chances of award granted. Thanks and looking forward to new entries, below is a piece to hopefully get some people brainstorming! This piece I created is painted on recycled mirror, and utilizes trash acquired on the beach as sand. The trash was also used to create texture along the wave crest. 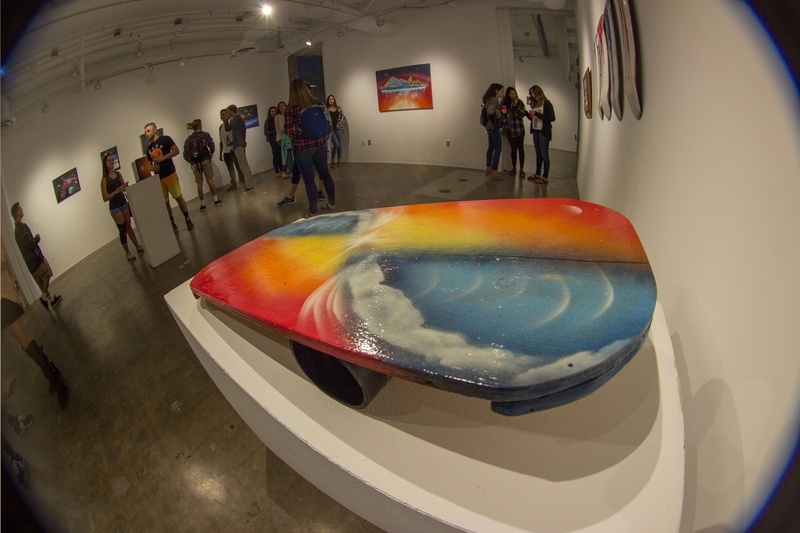 The trash promotes beach conservation awareness and is painted on mirror to truly reflect our impact as humans on our environment.